PARIS (Reuters) - PSA Peugeot Citroen (PEUP.PA) said on Friday it had chosen a French factory over a rival Spanish plant to expand engine production, prompting a visit by President Francois Hollande to highlight a bright spot in France's gloomy labor market. The troubled carmaker said it will upgrade the Trémery site to produce the turbo version of a staple three-cylinder engine already manufactured there, safeguarding local jobs. 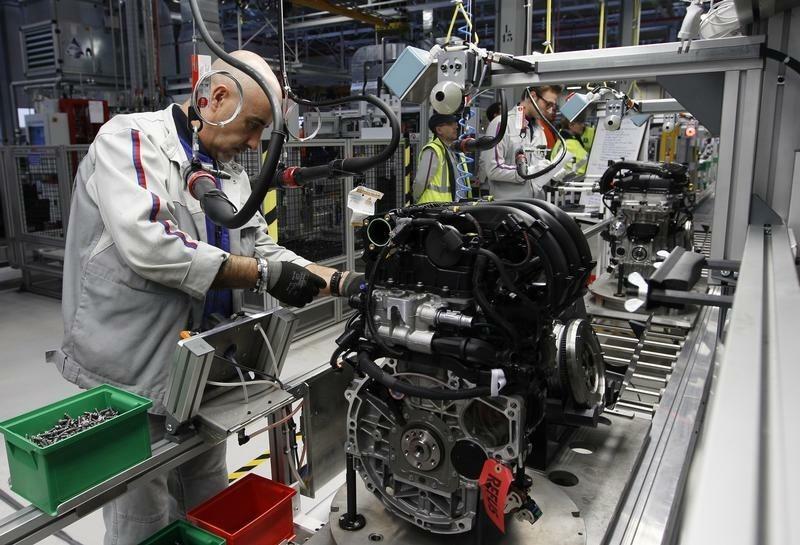 The eastern French plant beat out Peugeot's factory in Vigo, Spain, for the additional 200,000 engines per year. Manufacturing boss Yann Vincent said Peugeot's decision reflected "work done by the Trémery site to meet competitiveness targets", including productivity concessions by unions. The new production will bring no net increase in jobs, Vincent said, and the plant's 3,700-strong workforce is still expected to decline through attrition. The investment will nonetheless be seized upon as a vindication of Peugeot's 3 billion euro ($3.26 billion) bailout, in which the government acquired a 14 percent stake last year. Economy Minister Emmanuel Macron publicly backed Trémery for the new investment after hosting a workers' delegation on March 19. It also provides an important photo opportunity for Hollande, two days before the second round of local elections in which his Socialists are suffering big losses to center- and far-right parties, with unemployment stuck at 10 percent. Peugeot said the final plant decision was taken by its executive committee on Thursday, but government officials had already announced Hollande's visit before that meeting. "It was some time ago that we'd decided to decide on March 26," the Peugeot manufacturing chief said afterwards. The domestic production increase was decided on strictly economic grounds, Vincent said, and will have "no impact" on moves to double parts purchasing from lower-wage countries under a recovery plan drawn up by Chief Executive Officer Carlos Tavares. Despite lower Spanish wage costs, he added, it made more financial sense to use the French plant's existing engine production capacity and component supply logistics. Vigo currently assembles only vehicles. "Of course we're happy that it's in France," Vincent said, "but what motivated our decision was the superior economic performance."